We stock a large range of frames so we can cater for every style or budget. 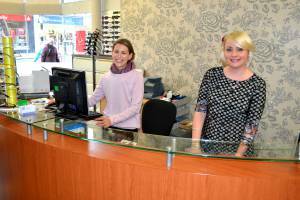 Being an independent practice we choose which frames we stock and enjoy picking out new ranges and the latest trends which we think our patients will love! We really enjoy spending time with patients selecting suitable frames which can completely transform a person’s look. 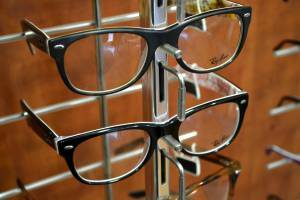 We will always tell you honestly which frames suit you best and are more than happy to make suggestions for you and guide you through the whole process. Also of course, it is important to get a frame which is comfortable and looks good too. High Index Lenses – to reduce weight and thickness of lenses, not just for comfort but also cosmetic appearance. Varifocals – many types available including newer digital designs to optomise visual performance. Photochromic Lenses – Photochromic lenses are optical lenses that darken on exposure to specific types of light of sufficient intensity, most commonly ultraviolet (UV) radiation. In the absence of activating light the lenses return to their clear state. Photochromic lenses may be made of glass, polycarbonate, or another plastic. Certain brands are available in grey, brown or graphite green. Anti-reflective coatings – Anti-reflective coating (also called “AR coating” or “anti-glare coating”) improves vision, reduces eye strain and makes your spectacles look more attractive. These benefits are due to the ability of AR coating to virtually eliminate reflections from the front and back surfaces of your spectacle lenses. With reflections gone, more light passes through your lenses to optimize visual acuity with fewer distractions (especially at night), and the lenses look nearly invisible — which enhances your appearance by drawing more attention to your eyes and helping you make better “eye contact” with others. It also reduces glare and halo’s around lights at night – particularly for driving.